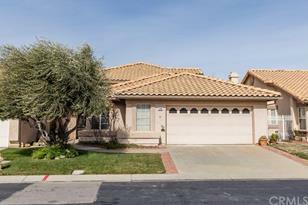 Lovely Muirfield in Sun Lakes Country Club A 55+ Community in Banning, Ca 92220. 2 Bdrm, 2.5 Ba + Loft & Fam @ 1837 Sf. Very Nice Curb Appeal and Maintenance-Free Backyard. There Is A Fountain Inside The Gate Across From The Front Door. Open Airy Floor Plan and Freshly Painted With Decor Paint Colors. Most Of The Flooring Has Been Replaced. The Muirfield Has A Very Large Master Bathroom With Set-Down Vanity. There Is A Built-In Storage System in The Garage and A Pull-Down Ladder For Easy Attic Access. Also Included Is A Security System That Has Never Been Used. Automatic Sprinkler System For Front, Back & Side. Sun Lakes Country Club Has 2 Golf Courses, 3 Clubhouses, One With Full Service Restaurant & Lounge, 3 Swimming Pools(1 Inside), Tennis & Bocce Ball Courts, Every Kind Of Activity Or Social Group You Could Ever Want. What A Great Place To Live! This Is Priced To Sell! Driving Directions: COME IN MAIN GATE AND TURN LEFT ON RIVIERA. CONTINUE ON TO THE EAST GATE AND TURN RIGHT ON COUNTRY CLUB DRIVE. THEN TURN LEFT ON OLYMPIC AND TURN RIGHT ON OAKLAND HILLS. THE HOUSE WILL BE ON YOUR RIGHT. 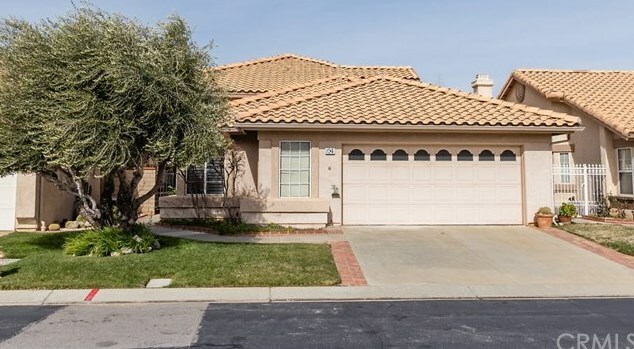 901 Oakland Hills Drive, Banning, CA 92220 (MLS# EV19032834) is a Single Family property that was sold at $239,000 on April 17, 2019. Want to learn more about 901 Oakland Hills Drive? 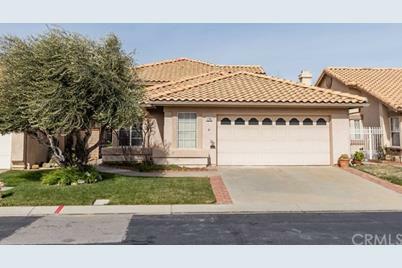 Do you have questions about finding other Single Family real estate for sale in Banning? You can browse all Banning real estate or contact a Coldwell Banker agent to request more information.